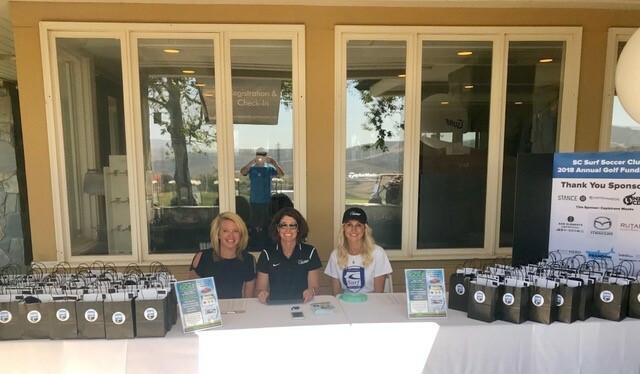 Every year, soccer families and friends come out to Bella Collina to enjoy a fun and relaxing day while supporting their local soccer club, San Clemente Surf Soccer. 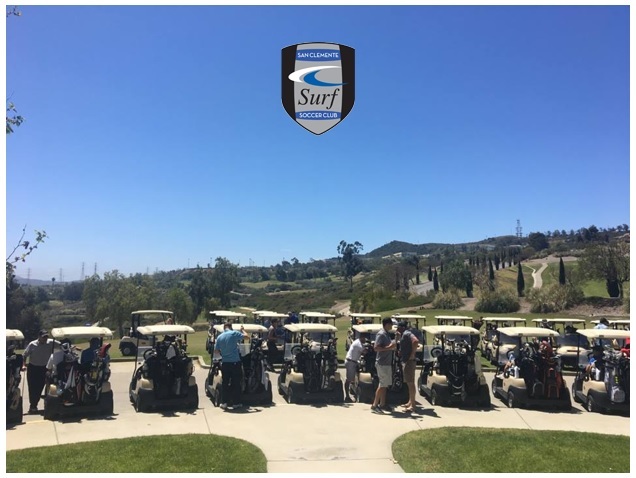 In hopes to raise funds for equipment, coaching education, fields, tournaments, and support their scholarship fund, a one day tournament with on-course competition, food, drinks, helicopter ball drop and prizes is held. This past May, San Clemente Surf Soccer was able to raise over $20,000.00!!! 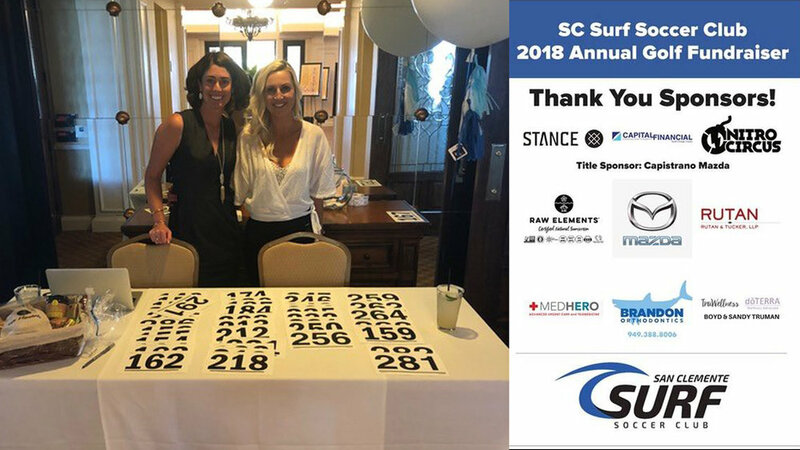 Bella Collina is honored to be Surf Soccer’s annual host for such a great organization! The San Clemente Surf Soccer Club is a competitive, year-round soccer club for kids ages 6-19. The coaching staff is led by Director of Coaching Chris Murray, who spent years with Glasgow Celtic in the SPFL and has been with the club in San Clemente for over a decade. Surf’s philosophy is to provide a professional and positive experience, focusing on player development, on and off the field. The Club is a non-profit 501(c)(3) due to its charitable work in the community and the low-income scholarships we make possible for players who would not otherwise have the opportunity to play at the club level. We raise these funds through corporate sponsors, personal donations, and fundraising events. In 2017, the club was able to provide over $30,000 in scholarships for families in financial need with the intent of making sure that these kids are not only successful in soccer, but also in life. Each year we hold this event to raise funds for things such as new equipment, coaching education, more field space, and funding our low-income scholarship program. We hope to make the club experience better for our players while keeping the costs for the families as low as possible. The funds are raised through sponsorship of the event, the silent auction, and the golf ball drop.